Two more images have dropped for 'John Wick Chapter 3'. One portrays Keanu Reeves in the titular assassin role. It's raining and he's in New York, so you know it's about to go down. The second sees him alongside co-star Halle Berry and her character Sofia's two dogs. EW unveiled the pics. The new canine cast members are Belgian Malinois dogs. Tweeters have been very worried about what's going to happen to them. 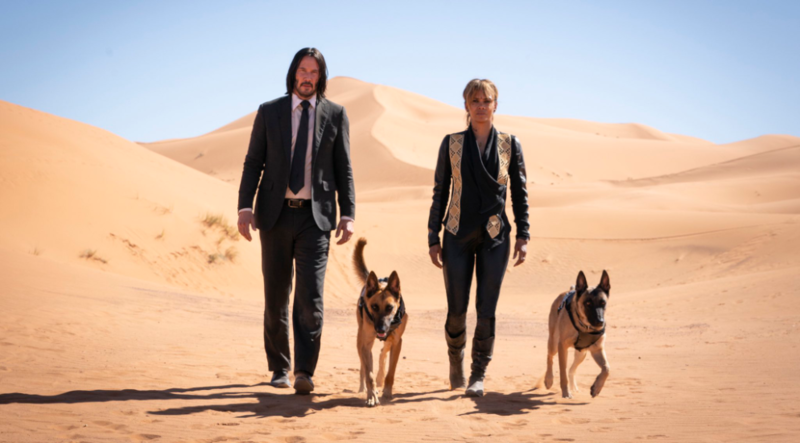 Aside from Reeves and Berry, the 'John Wick Chapter 3' cast also includes Anjelica Huston, Asia Kate Dillon ('Orange Is the New Black'), Jason Mantzoukas ('Brooklyn Nine-Nine', 'Parks and Recreation') and Mark Dacascos ('Agents of S.H.I.E.L.D.'). 'The Raid 2' actors Yayan Ruhian and Cecep Arif Rahman, and Tiger Hu Chen also star. Laurence Fishburne, Ian McShane and Lance Reddick are reprising their roles. Little has been revealed about the synopsis other than John Wick is on the run. 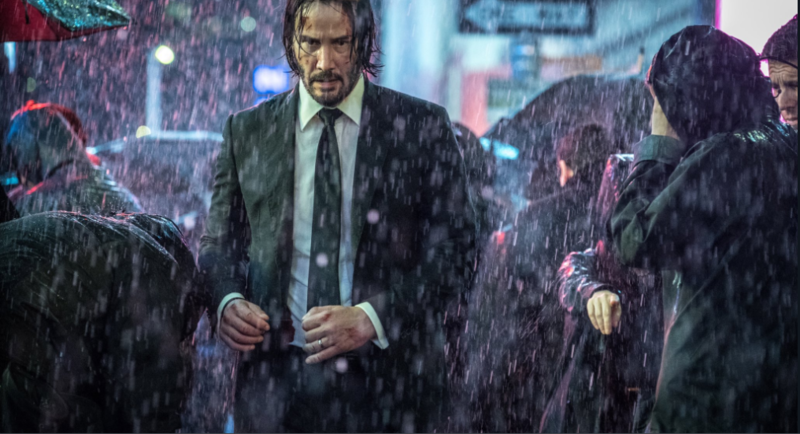 'John Wick Chapter 3', or 'John Wick 3: Parabellum' hits cinemas on 17 May, 2019.